I’ve tried to write a review for this book for a while now. I have about six or seven different drafts on my computer but I can never settle in one, so I’ll just write a little thing because I hate leaving that “full review to come” thing. I didn’t like The Iron King, although that’s understatement considering the one star I gave it. When I was just starting out reading Young Adult books I kept hearing about TIK, everybody raved about it and it seemed to me, based on everyone’s opinions, to be one of the best fairy stories out there. Had I read it back then when I was sixteen, I would have probably loved it! Now not so much. 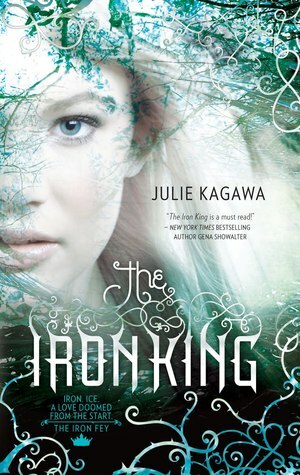 There was little I enjoyed about The Iron King, the writing was mediocre, the characters one-dimensional and the clichés abundant. I did like the world building but it was overpowered by how boring the story was. Meghan was one of the worst female characters I have read about, she was sexist, awful, dumb, super speshiul without trying, dumb and dumb. Did I mention dumb?? Seriously they tell her not to go outside? She goes outside and almost dies. They tell her not to trust someone? She trusts him and almost dies. They tell her to pretend being someone? She doesn’t and I almost strangled her. Oh and she almost dies. Both love interest were pretty boring too so yeah... there is nothing good I can say about this.